Oak and Iron, which claims to be Thousand Oaks’ first “craft” cocktail bar as of its April 4 opening date, is another step forward in the revitalization plan of the city’s downtown. 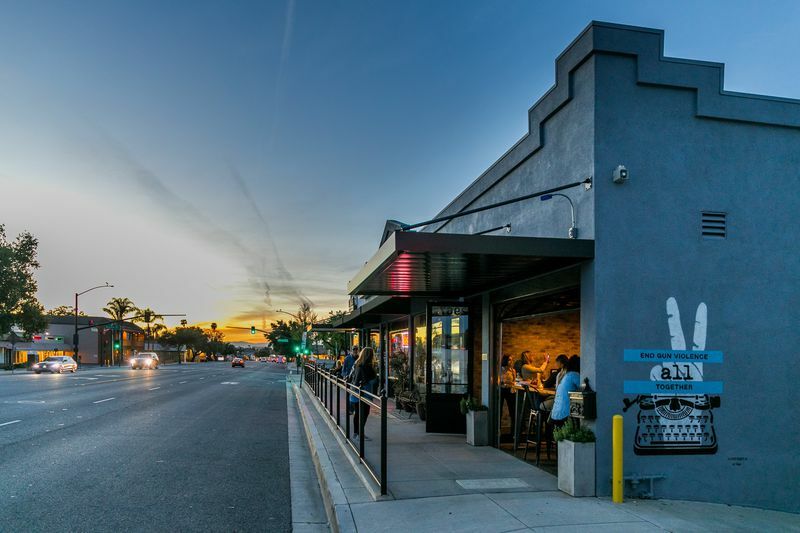 Sitting between a salon and a barbecue restaurant, the small bar is poised to be Conejo Valley’s destination watering hole thanks to the cocktail menu designed by bartender Paul Jones. A protégé of Matthew Biancaniello from The Library Bar and Mon-Li days, Paul brings the same style of produce-based cocktails, plus made-in-scratch infusions and syrups. Oak and Iron was started by a trio which includes brothers Jared and Jason Logan as well as attorney Andrew Pletcher, who had most recently served as a Thousand Oaks planning commissioner. Jared Logan, who owns a landscape and hardscape business, oversaw the construction of the bar. Meanwhile his brother Jason, who worked as a garden manager for Oxnard Union High School District’s farm-to-school program, is in charge of sourcing local produce to be used in the bar’s various drinks. In the main bar, Oak and Iron offers about a dozen classic cocktails and their variations, from a Flor de Cana daiquiri to a Bees Knees made with locally sourced honey. 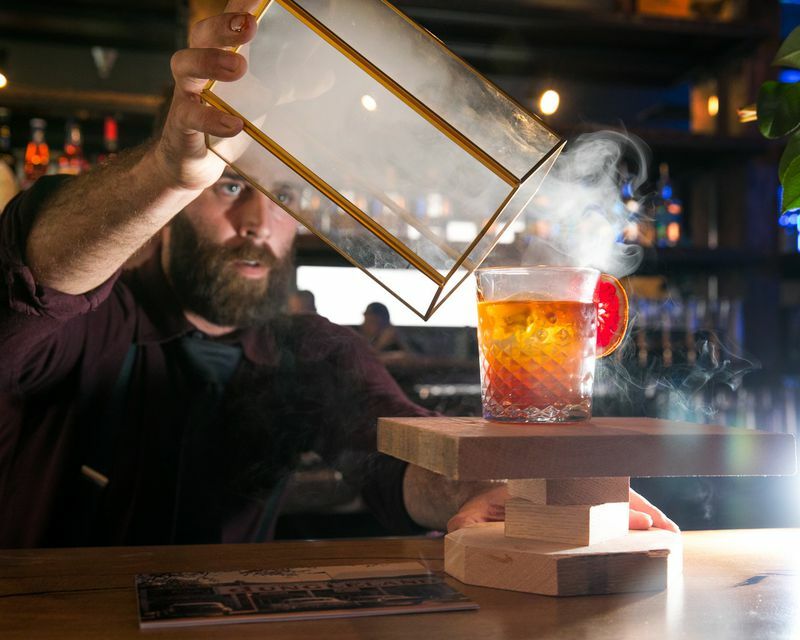 Cocktail mavens who have flocked to the bar since its opening are treated to a smoke show with The Smokey Edward, an Old Fashioned smoked with wood chips. 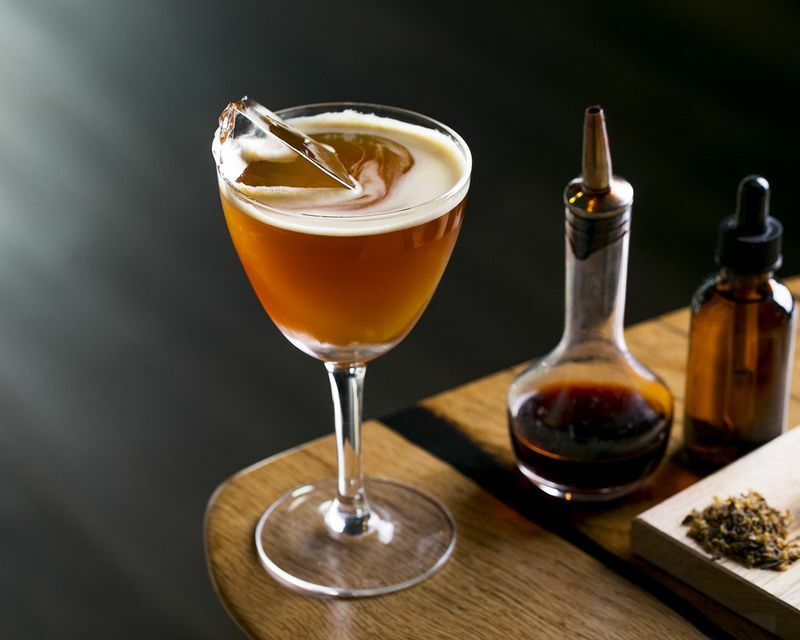 A smaller offering of specialty cocktails like Curious George is made with banana-infused whiskey, lemon juice, and IPA syrup offer a glimpse of what is offered at the more exclusive downstairs speakeasy, named Oak and Iron: Reserve. Reserve offers three seatings every two hours from 4 to 10 p.m., and reservations are highly recommended. 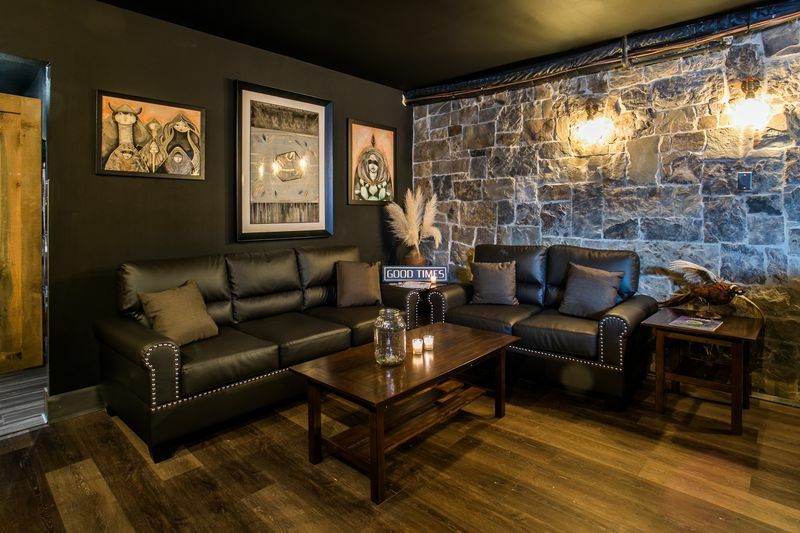 They accept walk-ins depending on availability but note that seating is strictly on the two-hour mark. The Reserve experience is meant to be a more intimate experience with Jones, and offers a small menu that rotates every few weeks. The latest Suntory-focused menu includes a sipper made with ramen-infused Hibiki whiskey, sesame syrup, and seaweed bitters. To prepare the drink, Paul worked with a local ramen shop to create an ultra-concentrated shoyu tonkotsu broth. While the Reserve is small, Jones is happy to make cocktails beyond the menu and has a variety of infusions he’s working on. He may offer a Negroni made with Cocchi vermouth amaro infused with oolong tea, or a more adventurous Cheese Danish in a Glass that uses Dolin Blanc infused with parmesan cheese. Oak and Iron is open Wednesday to Saturday from 4 p.m. and on Sunday beginning at noon. Oak and Iron: Reserve is open from Thursday to Sunday. “Talented LA Bartender Opens Ambitious New Cocktail Spot in Thousand Oaks.” Eater LA – All. 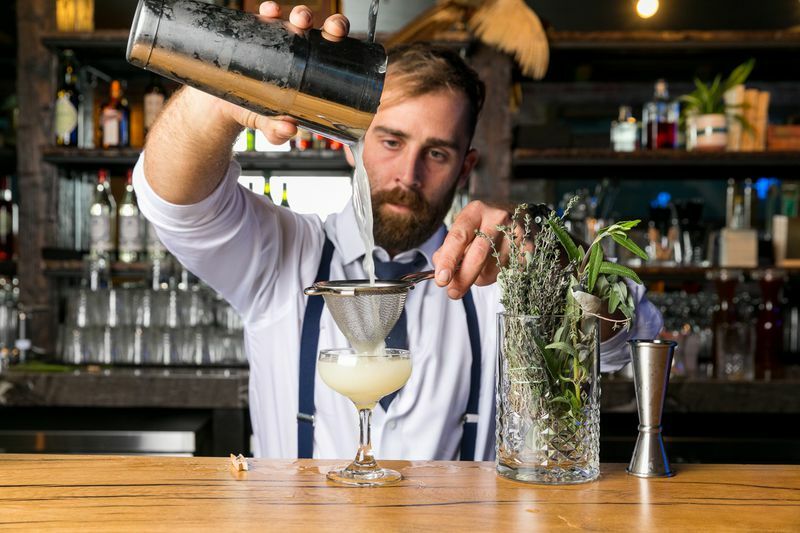 https://la.eater.com/2019/4/16/18410939/oak-and-iron-craft-cocktail-bar-thousand-oaks.